1). 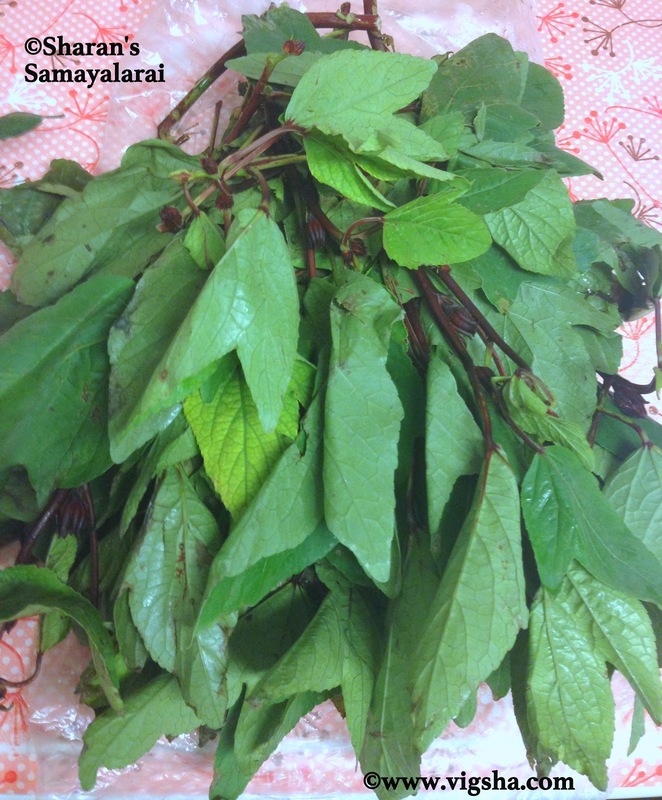 Remove gongura leaves from its stem, discarding thick stems and retaining tender ones. Wash it thoroughly and drain the water. 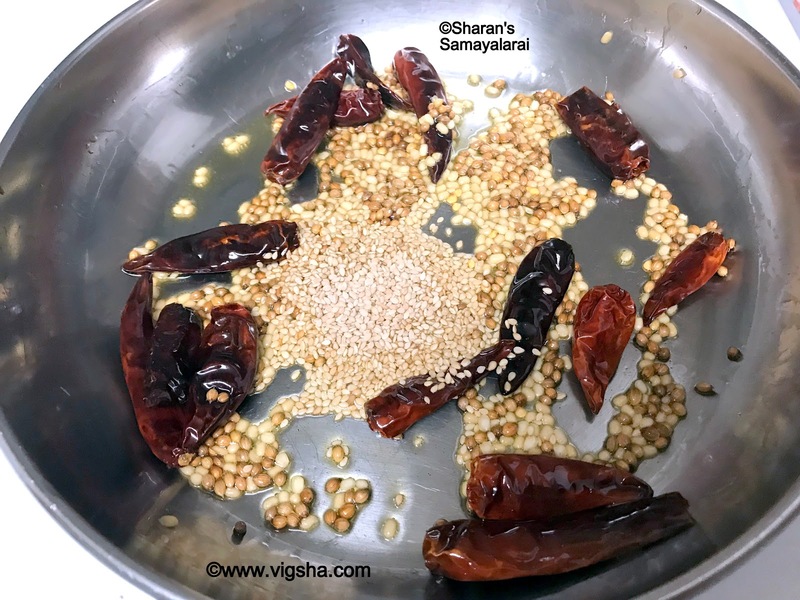 Soak tamarind in little water and keep aside. 2). 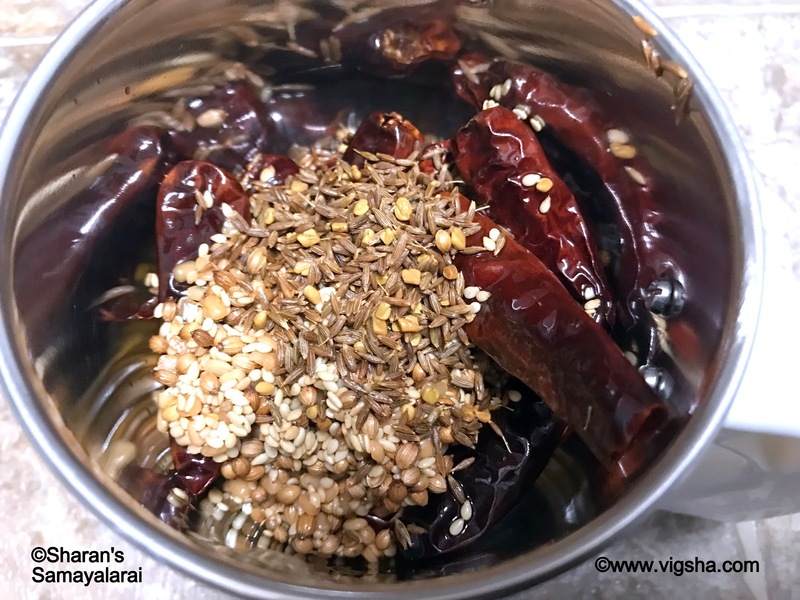 Heat a tsp of oil and roast red chillies. Then add urad dal, coriander seeds, fenugreek, uraddal and saute till dals turn brown and aromatic. Finally add sesame seeds and saute till they are toasted and crisp, switch off and let it cool. Once cooled, coarsely grind it along with salt, set aside. 3). 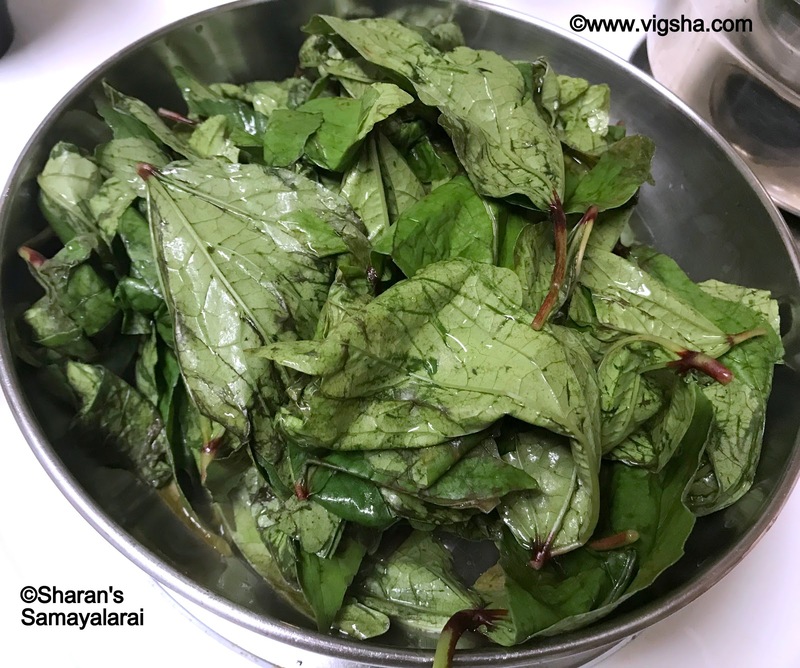 In a pan, add the washed gongura leaves and cook till they turn soft and mushy. Switch off and let it cool. 4). 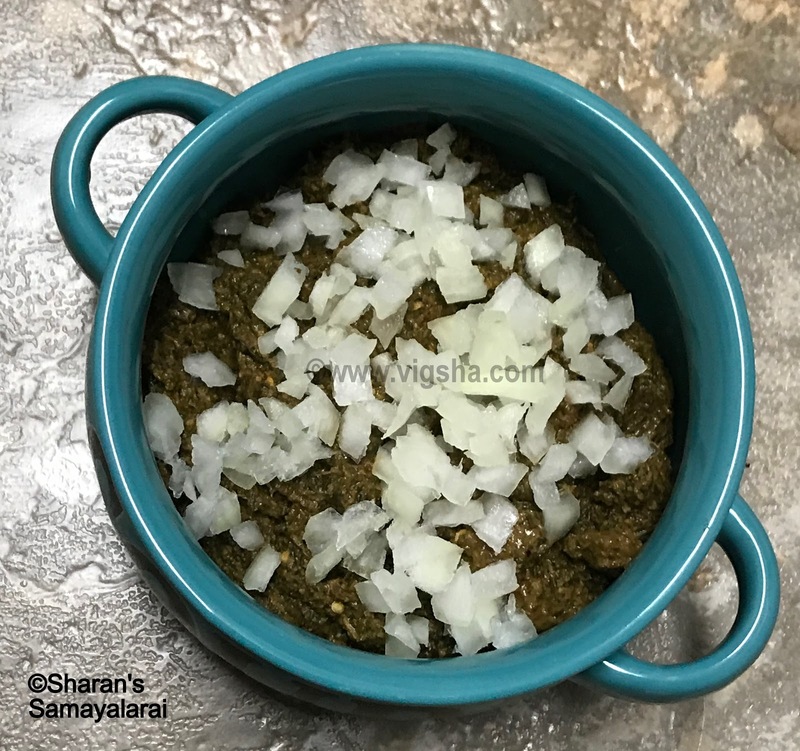 In a mixer, add the cooked gongura leaves, salt, soaked tamarind and coarsely grounded powder. 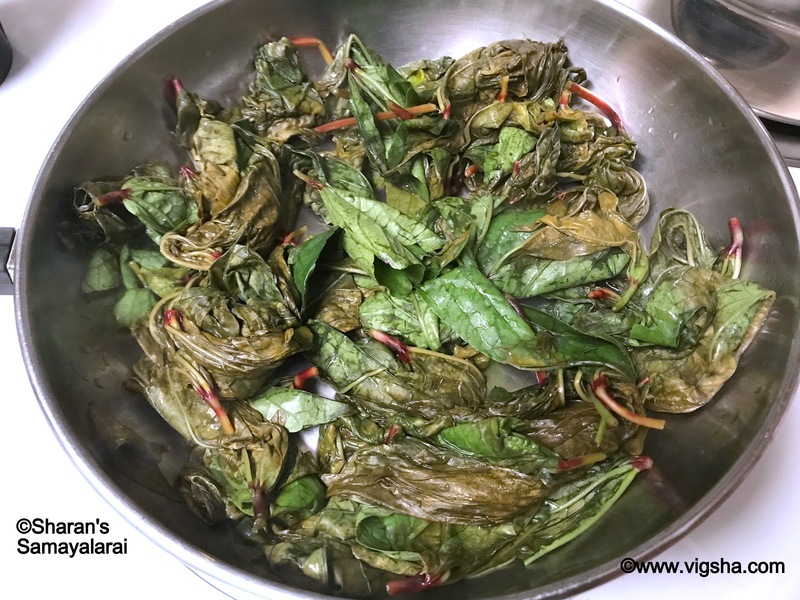 Grind it coarsely allowing the chunks of the leaves to remain and switch off. 5). Heat gingely oil in a pan, add mustard and let it splutter. Add hing and switch off. 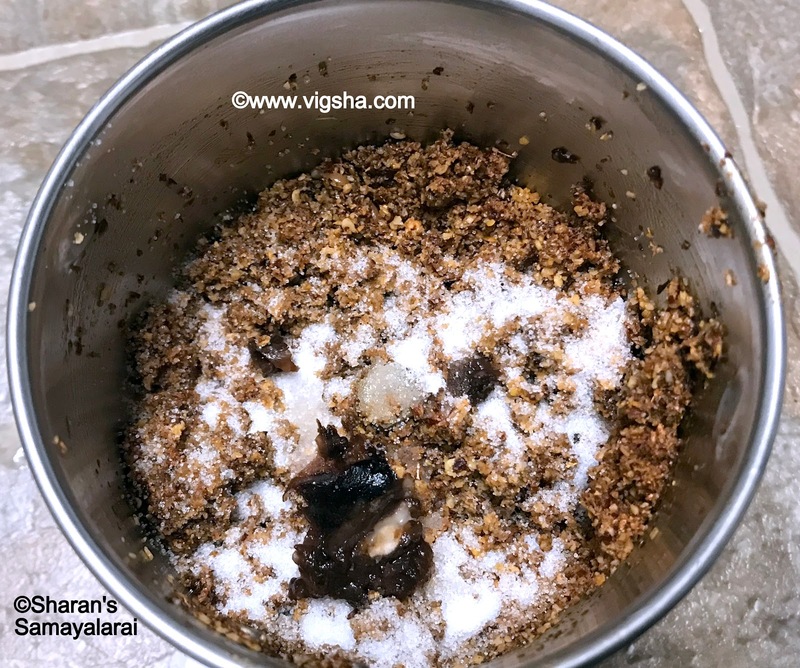 Top this seasoning on top of the pachadi. Just before serving add the finely chopped onions. Done ! 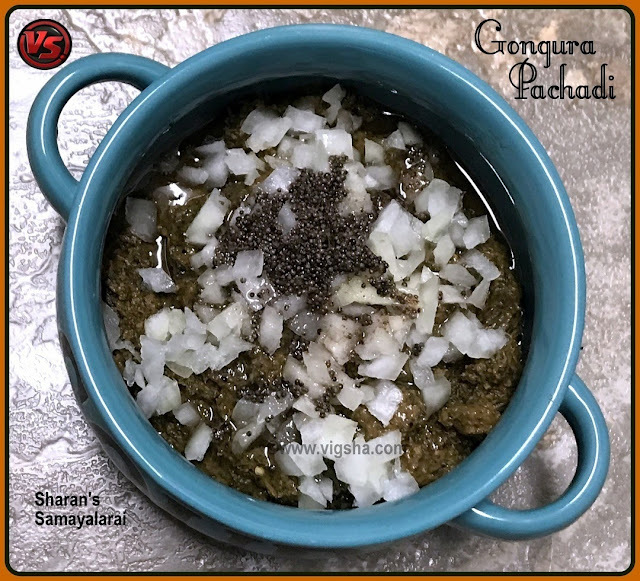 Serve this aromatic and tangy-flavored pachadi with steamed rice and dollop of ghee. # Minced garlic can also be added along with chopped onions. 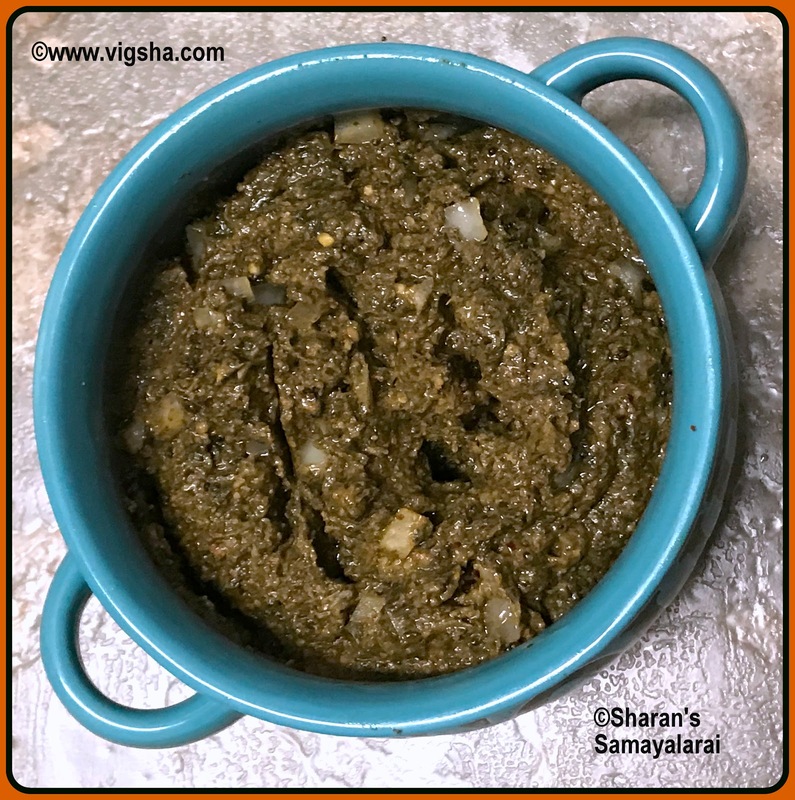 Original recipe calls for garlic, my husband doesn't like the taste of raw garlic so I have skipped it in the recipe and used hing. # Mix chopped onions just before serving. 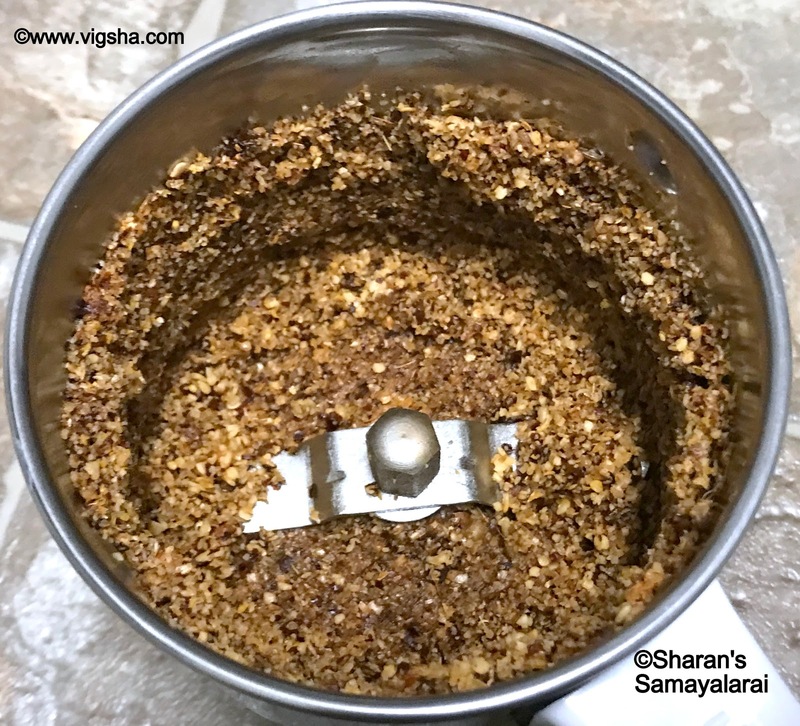 # Make sure not to burn the masala items(dry ingredients) as they will turn bitter. 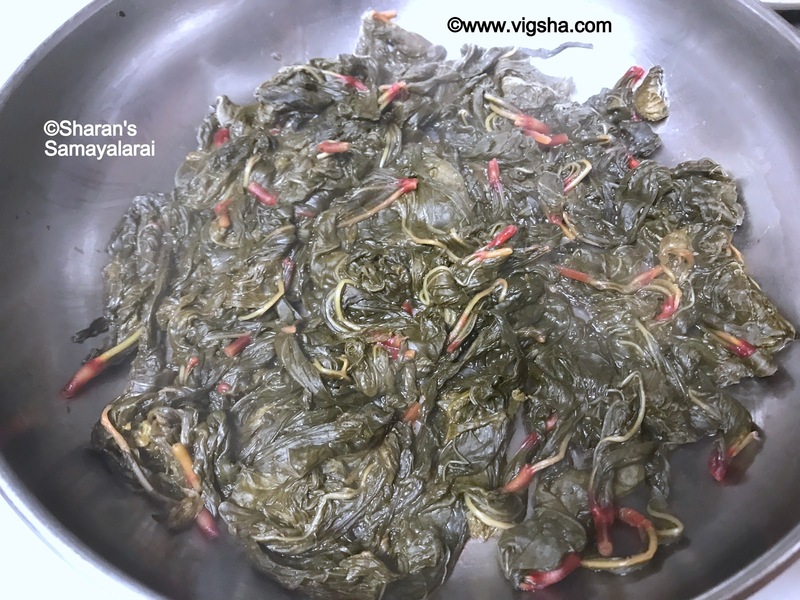 # Do not add water for cooking gongura or grinding. 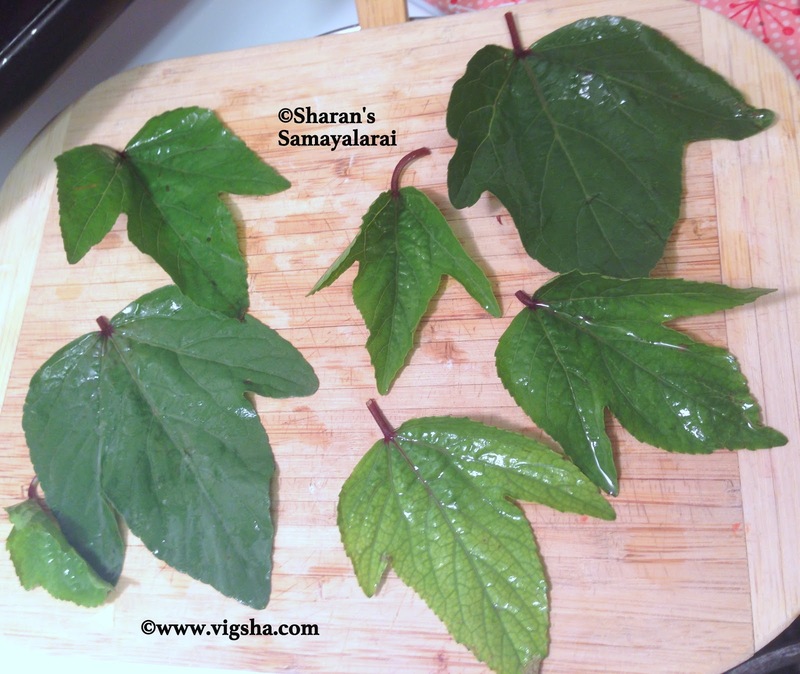 # Red variety gongura leaves are bit tangy. 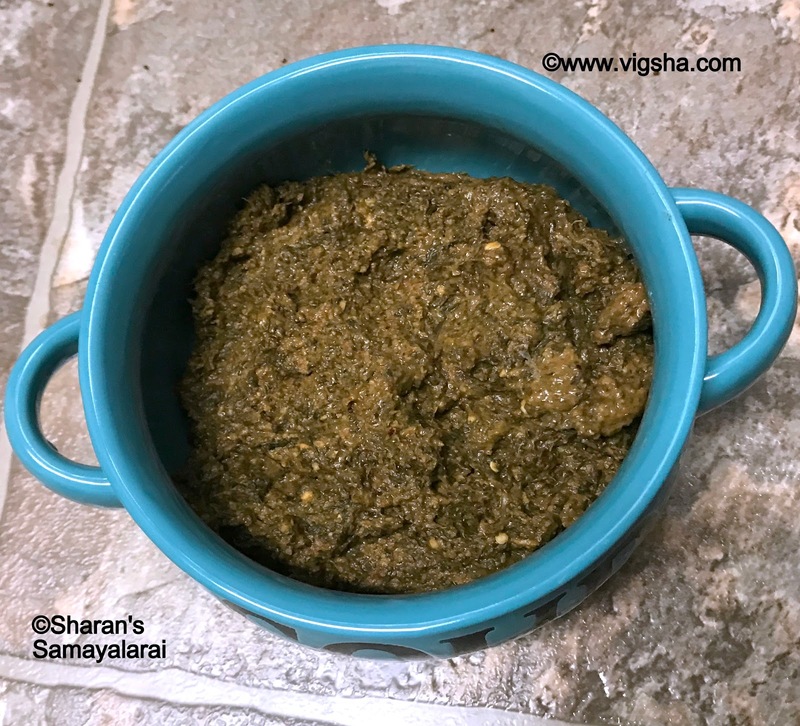 If using green variety, it might need more tamarind. 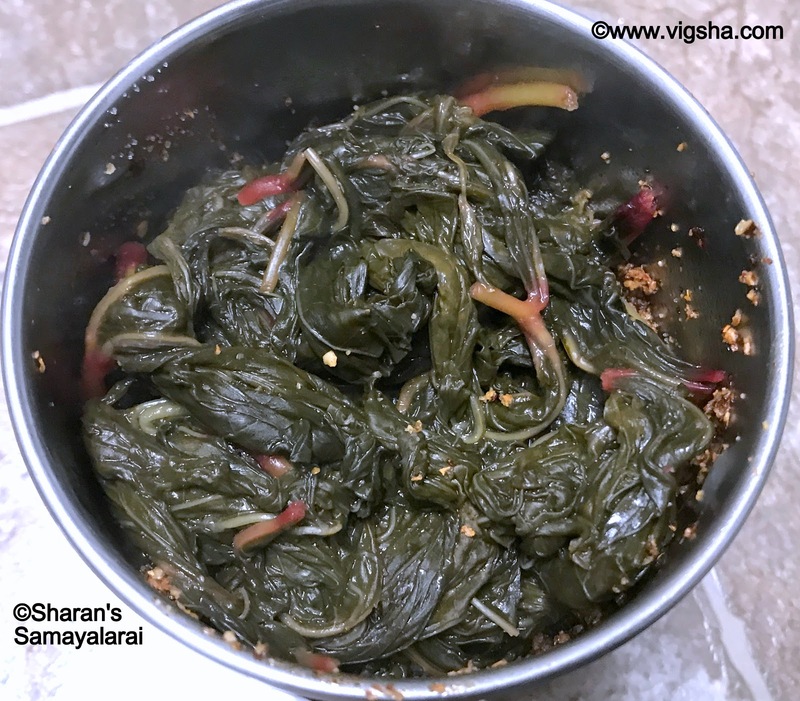 # Using gingelly oil for seasonign adds more flavour to the pachadi. # Instead of hing, minced garlic can be substituted during seasoning. 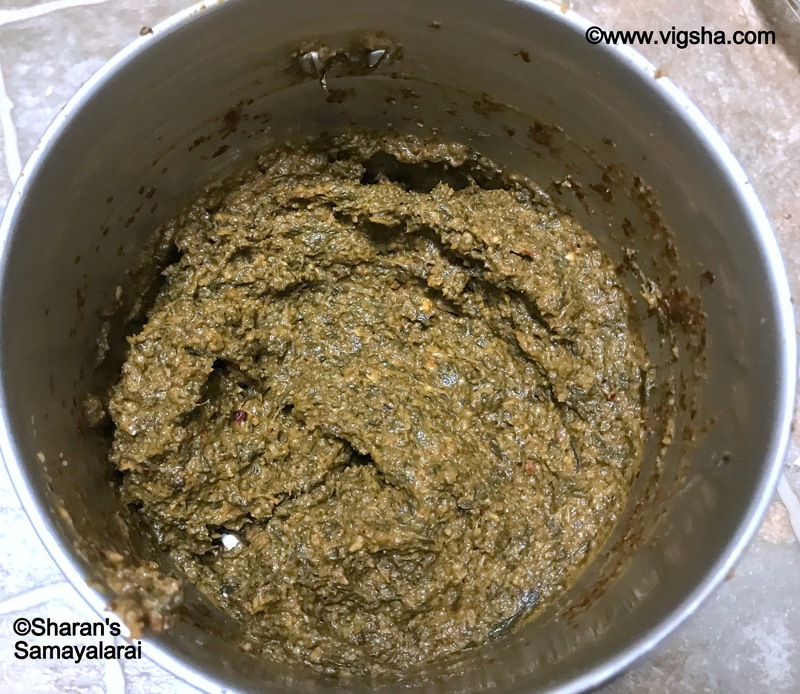 It adds more flavor and makes the pachadi more aromatic.